MBBS (Gold medalist), MS (Gold medalist), DNB (All India Gold medalist), MNAMS (IND), MRCS (UK), FICS (USA), DNB (SGE & HPB), FMAS (AMASI), Fellow HPB & Liver Transplant (Sir Gangaram, Apollo, Del), CC Lap Solid Organ Surgery (Ethicon), CC Endohernia (Ethicon), CC Lap Colorectal (Galaxy, Pune) / Lap UGI surgery and VATS (Calicut), OB. Fellow HPB & GIS (SGPGIMS, Lucknow / GB Pant, Del). Sr. Consultant AMRI Hospital, Dhakuria, Kolkata. Formerly Sr. 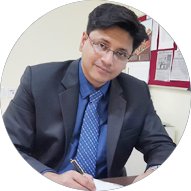 Consultant Apollo Gleneagles, Fortis Kolkata, Belle Vue Kolkata, CMRI, Woodlands, EEDF & SASK. Is there surgery for pancreatitis? Infected Necrosis. ... More than 80% of deaths amongst patients with acute pancreatitis are caused by infection of the dead pancreatic tissue. Without aggressive surgical treatment to clear the infection, many patients do not survive the infection. Multiple surgeries may be required to completely clear the infection. During this operation, the surgeon removes the head of the pancreas and sometimes the body of the pancreas as well. Nearby structures such as part of the small intestine, part of the bile duct, the gallbladder, lymph nodes near the pancreas, and sometimes part of the stomach are also removed. Can a person live without a pancreas? Although not a perfect solution, these functions can be replaced through insulin injections and oral pancreatic enzymes with meals. Surgery to remove the pancreas completely is rarely done, so very few people have no pancreas at all. Much more common is having a pancreas that doesn't work properly. What is the Whipple surgical procedure? Also known as pancreaticoduodenectomy, the Whipple procedure involves removal of the "head" (wide part) of the pancreas next to the first part of the small intestine (duodenum). It also involves removal of the duodenum, a portion of the common bile duct, gallbladder, and sometimes part of the stomach. What is the recovery time for Whipple surgery? Recovery from the Whipple Procedure. This is a complex operation that will require hospitalization for one to two weeks with the first post-surgery night spent in the intensive care unit before being transferred to the surgical floor. Patients usually remain fatigued for about two months after this operation. What is the survival rate after Whipple surgery? The overall survival after the whipple operation for pancreatic adenocarcinoma is about 20% at five years after surgery. Patients without spread of cancer into their lymph nodes may have up to a 40% survival.